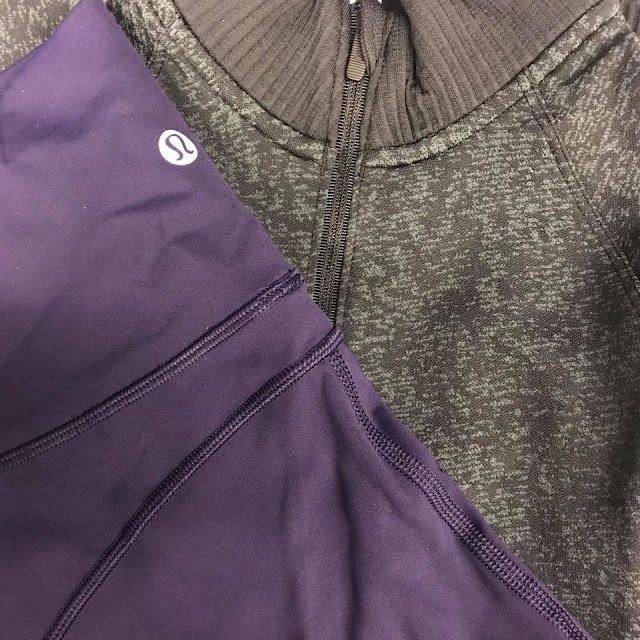 I am loving all the new shades of purple and the grey 1/2 zip looks promising. I wonder if the U.S. this week will get more new product than Canada like they did last week, I hope not. @ anon 6:46 pm - I wish. Some people speculate it's rulu but it looks thicker than that. It's a half zip with ribbed collar and cuffs. It could be brushed luxtreme, I suppose. Comparing this 1/2 zip with the Restless 1/2 zip in WMTM it does look like a Restless. I didn't buy last years Restless as I didn't like the fabric compared to years past. I also didn't like the ribbed neck, a little stiff and it didn't fit nicely. From this picture the fabric looks softer and hopefully thicker than last years. Wouldn't a Restless in rulu be great!